S3 Question 1: Why Doesn’t Sarah Believe Chuck? An essay about a central question of S3. I will be posting a least one or two more such essays in the next few of weeks. Spoiler warning for anyone watching the show for the first time. For more than two seasons, when no one else would or did or could, Sarah trusts Chuck; she believes him and believes in him. Then–the Red Test. And now she does not believe him, even though she knows that she did not actually see Chuck shoot the mole. Sure, what she saw, arriving seconds later, looks like the immediate aftermath of Chuck shooting the mole. But Sarah is a spy. She manipulates appearances for a living. She knows how far things can sometimes be from what they seem to be. (In fact, a logical difference the show insists on is this: in real life, things are almost always what they seem; in the spy life, they are never quite what they seem.) So, why won’t she believe Chuck? I do not think the answer to this question can take the form of a rationalizing her disbelief. The best that can be done is to make her irrationality understandable. Chuck’s Red Test depresses all of Sarah’s buttons at once; it is no wonder she short-circuits. Is it because Chuck changes during the weeks and months as he struggles to become an agent? That plays a role, because Sarah sees him lying to Hannah, for example, in a way that clearly indicates that his character is under pressure, perhaps is cracking. But she also sees him pull back from the precipice. Is it because of Prague? That, too, plays a role, an important one. Even when she seems to have moved past it, that disappointment haunts Sarah throughout the season, and it helps explain her choosing Shaw. Despite her bravado in telling Chuck he cannot hurt her, he can hurt her–he has, and he still does: the whole situation of S3 appears for Sarah against the background of her crushed dreams for the two of them. She is living through her wretched hollow. Every day with Chuck is a reminder of what she does not have: a real life with him. Every day stabs. Every day cuts her with some shard of what-could-have-been. Choosing Shaw is choosing a back-up, makeshift life-in-waiting. It is not what Sarah wants, and she knows that, even if she tries to ignore it. (Sarah does surely like Shaw; and, equally important, she admires him. As she says, she has a type. But liking plus admiring have never equalled love, not in any sober calculus of the heart.) Sarah has retreated to her old posture, treating her own emotions as if they were her asset, and she their handler. That did not work out well before; it is not working out well now. Complete emotional invulnerability demands complete emotional numbness. Sarah can no longer be numb. Chuck quickened her emotions for good, and they refuse to be deadened again. She cannot kill her love for Chuck; she can only deny it. So why does she not believe him? Answering the question forces us to go back to a much earlier conversation between Chuck and Sarah. In vs. the Truth, Chuck, Sarah and Casey, all suffering from the effects of the truth serum/poison, are sitting in the hospital hallway. Sarah, clearly making no effort to withstand the serum at that moment, tells Chuck how sorry she is about all that has happened. And by all, she means all–not just Ellie’s being poisoned or Chuck’s being poisoned, but everything that has happened since she arrived. This is an important speech. It comes from deep inside Sarah. From nearly the beginning of their fake/real relationship, Sarah has felt a mixture of gratitude for the presence of Chuck in her life and of regret for her presence in his. Just as Chuck cannot easily see himself as a hero, Sarah cannot easily see how much of a role she plays in his being heroic. But others, especially Morgan, can see how much Sarah catalyzes growth in Chuck: “When Chuck is around Sarah, he’s the Chuck we all knew he could be.” Sarah is so involved in Chuck’s effects on her that she often fails to see or forgets her effects on him. (This fact bulks large in the dysfunction of S3: Sarah cannot see that Chuck refusing to run with her results from her good effect on him. She has actually succeeding in making him think that maybe, maybe he can be a hero.) Sarah tends to focus only on how she complicates Chuck’s life, and how the complications cause him frustration, anxiety, shame and pain. She regrets all of that. And she carries that regret with her into S3. At Traxx, when Chuck joins Sarah at the table, flushed with excitement about (he thinks) having become an agent, and about having dinner with her, Sarah has to tell him that he now faces his Red Test. He must kill the mole to become an agent. But before Sarah can deliver that doom to him, Chuck thanks her for all she has done and comments that he would never have gotten to where he is without her. She does not want him to say that. It is–literally–the last thing she wants to hear. Her regret about her presence in his life crashes in upon her. 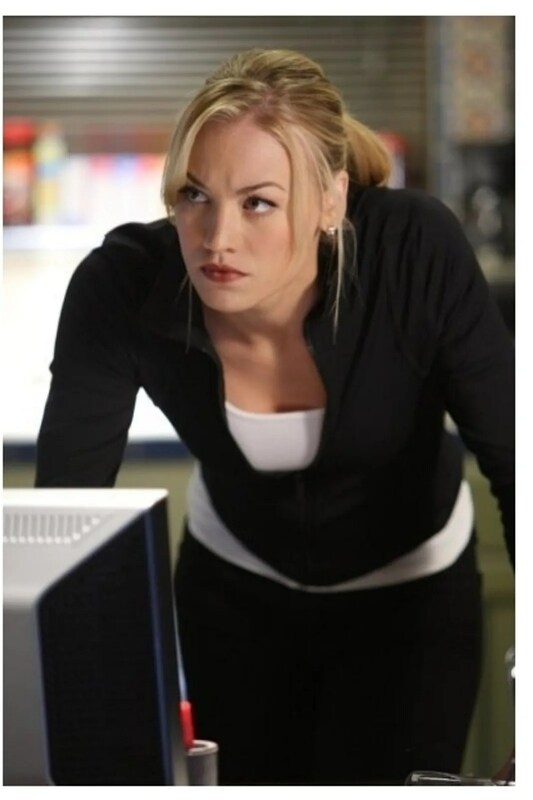 If she had never come along, Chuck would not have had to undergo any of this (Seasons 1-3), or to face the choice to kill the mole or to fail to become an agent. Sarah realizes the vise that Chuck is in: He can kill the mole and so lose her, or he can fail to become an agent and so lose her. Chuck may not see all that quite so clearly, but he can feel the vise closing. Later, when Sarah arrives in time to witness the immediate aftermath of the shot that kills the mole, Sarah reports to Shaw: “Chuck is a spy.” From her point of view, the Chuck she knew and loved, her Chuck, is as irrevocably dead as the mole. But, still from Sarah’s point of view, Chuck does not kill himself: she kills him: she is responsible for pulling the trigger that causes Chuck to pull the trigger. Sarah is so sure that she is responsible for what Chuck has done that she never really stops to consider whether or not Chuck has actually done it. Her pervasive guilt for all that has led up to the Red Test colors how she sees the Test. (It is worth remembering here too the guilt Sarah feels about her own Red Test. It is no accident that she is thinking about her Test immediately after Chuck’s.) The crashing wave of guilt she feels swamps Chuck and everything else. She cannot distinguish her guilt from his–all the guilt is hers. But, strangely enough, this makes it impossible for her to believe–at least initially–that Chuck is not guilty. She is guilty, so he must be. After she has had a little time to reflect, she begins to wonder if maybe Chuck is telling the truth. At least, she is wondering enough to ask him about it when Chuck takes Shaw’s place at the restaurant table (in vs. the American Hero). She has still not sorted it all out when Chuck saves Shaw–or when Chuck at last professes his love to her. She has sorted it out enough to take it to be somehow possible that Chuck did not kill the mole. He is no longer swallowed up in her pervasive guilt. But if she no longer disbelieves him, she still does not yet believe him. She does intuit this much: Shaw’s decision to infiltrate the Ring’s compound is reckless, not courageous; Chuck’s decision is courageous, not reckless. At some level, Sarah can tell the difference. An aside: generally, Shaw’s actions seem virtuous only because they are instances of vices that look like virtues, and so are easy to confuse with them: foolhardiness with courage (as in infiltrating the compound), cruelty with honor (as when he brutalizes the bound assassin for his inappropriate remarks to Sarah), manipulation with mentoring (as in his relationship with Chuck) obsession with loving memory (as in his relationship with his dead wife), possessiveness with love (as in his relationship with Sarah). Shaw manages to be broken, bad, while looking good. From the moment Shaw first appears, burning his Zippo in Beckman’s office, it is clear that there is something wrong with that man. But getting it into focus is hard, because he seems right, he seems good. It will require a certain sort of context, an appropriate series of events, to sift Shaw’s virtuous appearance from his vicious reality. As I said, Sarah is beginning to notice these things about Shaw. No one else–not Chuck, not Casey, not Beckman–notices. Well, no one else other than Morgan, whose comment about Shaw’s stiffness (“He’s a stiff as a board!”) seems to me to penetrate deep into Shaw, to a fundamental unresponsiveness, a lack of genuine care, in him. But even though Sarah is starting to notice these things, she is not clearly conscious of them. She cannot articulate them. Sarah can tell that Chuck’s decision to go after Shaw is noble. He does it for her sake and not for his own. But she is still awash in her own feeling of guilt, and she still does not exactly believe Chuck; so, she cannot satisfactorily process what she feels about him and about what he is doing. He seems like he is virtuous, her virtuous Chuck, the man she loves. But in her guilt she has convinced herself that that man is dead, and that his blood is on her hands. When Chuck professes his love for her, when he kisses her, when he forswears convincing her–wanting her instead to freely choose him–he effectively washes her hands. His words are a benediction. It may still be wrong to say that she exactly believes Chuck. She has not worked that out completely yet. There are also the complexities of her commitments, to Shaw and to Beckman, still to work through. But, at long last, the high tide of confusion, hurt, guilt and regret begins to go down. She can begin to remember: she is grateful for Chuck’s presence in her life. Casey will soon transchange that gratitude into joy. Sarah will have waited it out. In the tumult of The Red Test (and of S3 generally) it is hard to keep the sequence of events in mind. Sarah makes her trip to DC with Shaw before The Red Test. And it is right after the Red Test that Shaw asks Sarah if she still loves Chuck. She answers: “No. Not any more.” So while she was with Shaw in DC she was still in love with Chuck–and Shaw knew it. Although I do not know how to prove it, I am reasonably convinced that Chuck’s Red Test and Sarah’s ‘proctoring’ of it are compelled by Shaw to drive Chuck and Sarah finally apart. His question, coming when it does, reveals that. As I mention in my book, ‘different’ for Sarah almost always means ‘worse’ or ‘compares unfavorably to’. It is a bit of emotionally controlled shorthand, and Sarah has a set of such terms at her disposal. They are among her techniques for avoiding the use of first-person desiderative verbs, to avoid having to express desire or aversion, emotional satisfaction or dissatisfaction. Later in S3, she will be able to answer Chuck’s question: “Sarah, do you love me?” by saying, “Yes”. But she will struggle to use the word ‘love’ herself (vs. the Tooth). Keep in mind I say all this while still harboring a certain sympathy for Shaw. There is a story to tell about how he got to be as he is. It does not excuse him but it does make him less opaque. Also, I am not saying that Shaw is purposely deceitful about himself, as if he realizes his viciousness and tries to keep his vices hidden. He does not realize (fully) that he is vicious. He is as taken in by his looks as anyone else. Watch carefully. Morgan’s judgments about other people are perceptive, particularly about those closest to him. And he has something of the visionary or prophet about him where Chuck is concerned. Time and time again he predicts something–“Chuck and Sarah will come right through that door”–and is proven right. This surely matters for his S5 prediction that one kiss will revive Sarah’s dormant memories. I have been weaving Imogen Heap’s “Wait it Out” into the essay. I have done so in order to bring the song to mind. That song does far more in S3 than comment on what is happening early. It takes us into Sarah’s inner life and allows us to understand its shape, to understand what is happening in her, from the beginning of the season all the way to Casey’s revelation. The parallel to this song for Chuck is Frightened Rabbit’s “Backwards Walk”. I will discuss that soon.